Editor’s Note: To market, to market we go; although, we aren’t talking about the stock market (cause math, blech!). We are talking about all the food markets that are popping up before our very eyes all around New Orleans. From Roux Carre and Pythian to Auction House and Dryades, we will be your designated tasters. Each of us has a $20 budget, and we can’t overlap choices. That’s four perspectives for each market (and we said we didn’t like math). 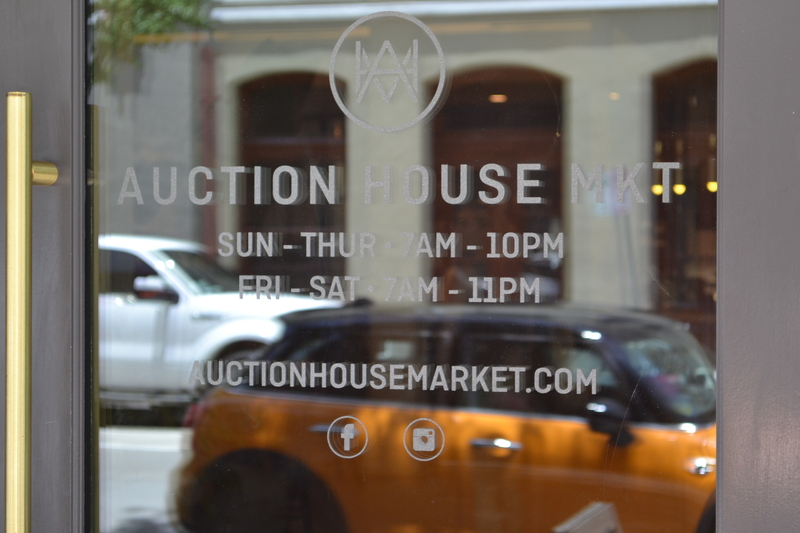 Up first is The Auction House Market. Walking into Auction House Market is like walking into an influencer’s Instagram. You know, influencers, those people who decide what’s hot and what’s not, most often via social media? 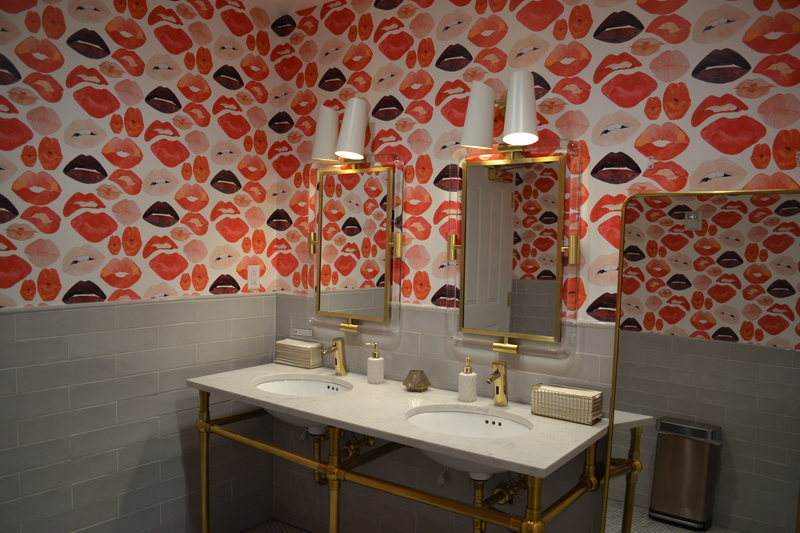 According to many of them, what’s hot these days is a lot of light marble and shiny gold and lush green plants, often paired with a pale pink. Nail the combo and you’re on track for your most liked photo yet. Add in a food hall, the culinary sensation that, according to Eater, has “transcended trendiness,” and you’ve broken the internet. In addition to cocktails, in which the ViaNolaVie crew did not imbibe, Auction House hosts a international line-up of food vendors, similar to St. Roch. 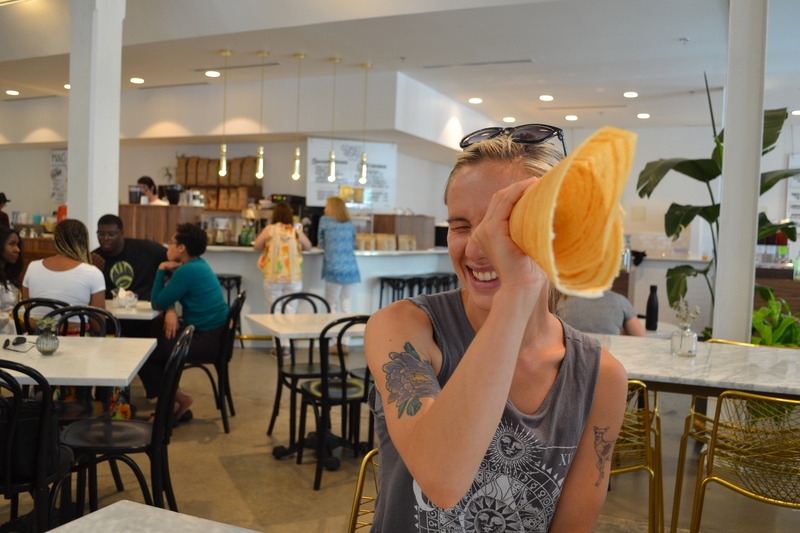 You can get Egyptian, Hawaiian, and Indian, empanadas, lattes, and vegan ice cream—all from locally-based food entrepreneurs, some of which have stalls at St. Roch, too. Twenty-dollar bills in hand, we scattered, coming back together to taste our tour de grub. Why I got it: I looooove Indian food, and of all the different types of cuisine I’ve devoured in New Orleans so far, Indian has not been one of them! I was also in the mood for something spicy and warm. Thoughts: YUM. This dosa is crazy good. It’s like a crisp savory crepe that holds shape for dipping, like a chip. Dosa + garbanzos = what people should be serving at Super Bowl parties. I would go to those parties. 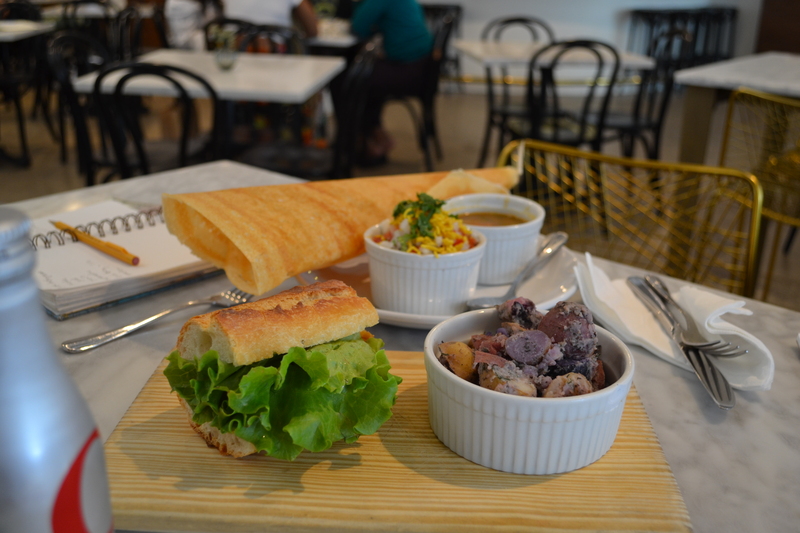 Why I got it: I like when vegan and gluten-free places take on a challenge, and gluten free vegan waffles, ice cream, macarons, and milkshakes are definitely a challenge. Thoughts: So strange but so good! These textures are really interesting together—the popping of the boba (those bubbles in bubble tea), the chewiness of the waffle, and the fluffiness of the whipped cream make for, as Renée so aptly put it, “a party in my mouth.” And the macaron was delightful! 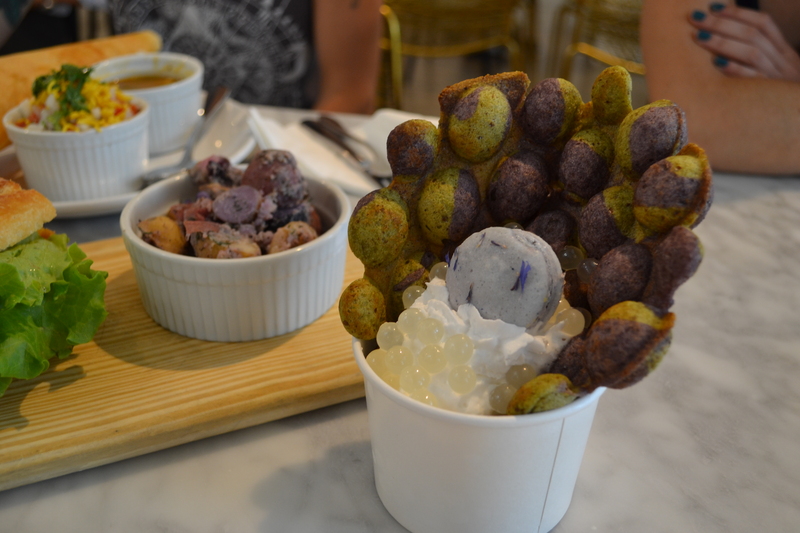 Mac and Moon’s bubble waffle-boba concoction is the WINNER of Making Markets’ Beauty Queen Award! Oh, the drama! We laughed, we cried, we devoured this sweet symphony-in-a-cup down to the very last bite. Why I got it: Empanadas are a rarity in New Orleans, and the names of the business—Empanola—is adorable. Thoughts: My favorite is the mushroom and cheese, followed by the beef, then the salmon. The flaky crust is delish! Empanola’s Empanada Sampler is the WINNER of Making Markets award for Most Inventive! 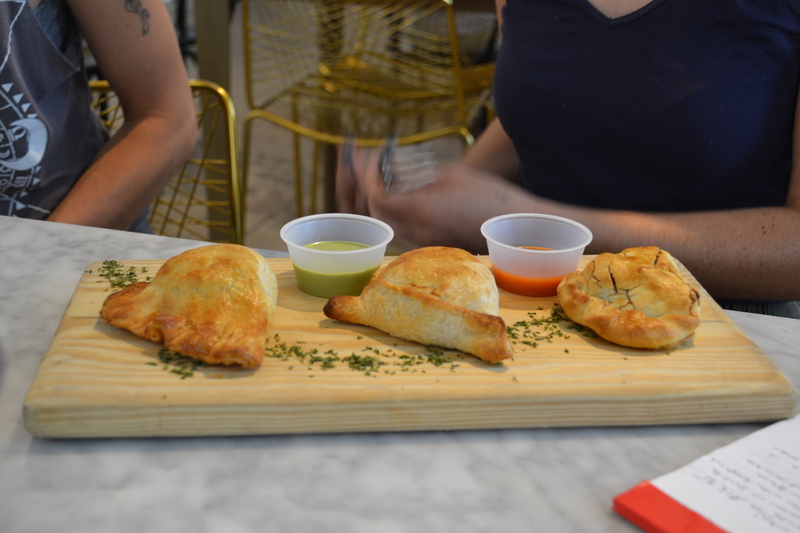 We loved how these empanadas looked traditional on the outside but were filled with unexpected flavors. 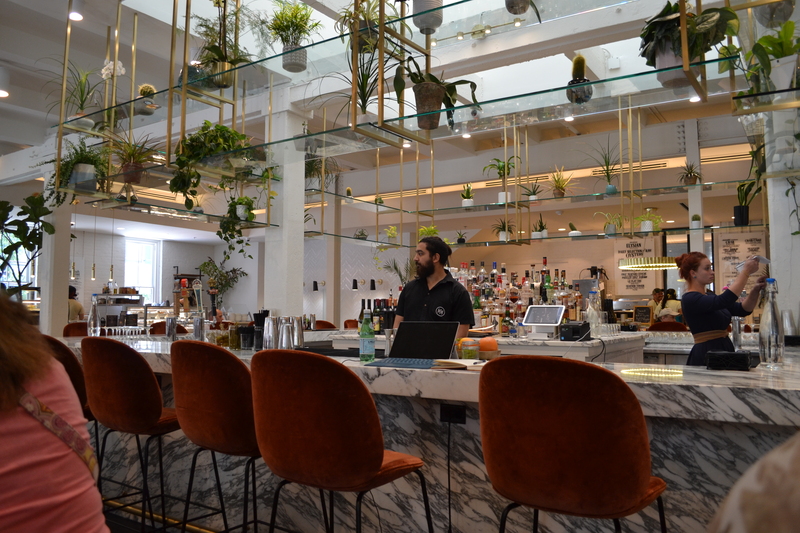 Why I got it: I was drawn to SoLA by beet hummus sandwich listed on the menu (they were out), but I stayed for the local, well-spiced take on comfort foods. Love the owner’s story, too: he started making spice blends for his friends in South Louisiana, and the business just exploded from there. 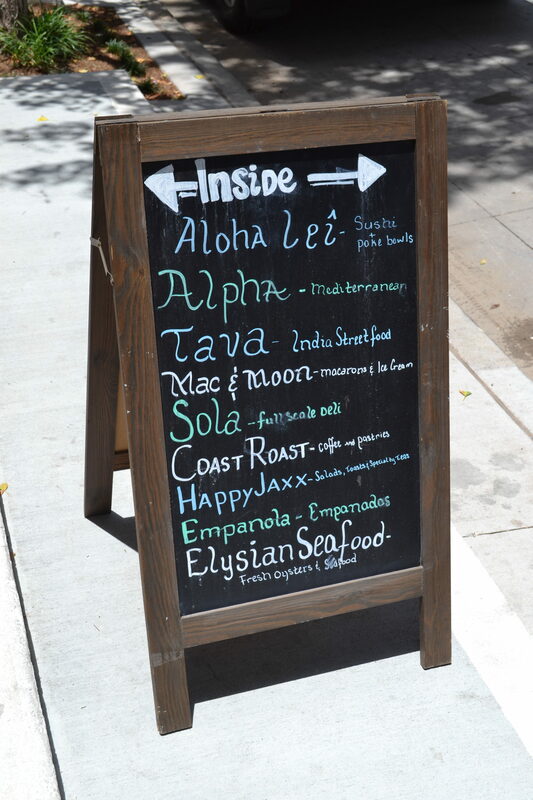 All of SoLA’s dishes are made with signature spice mixes and olive oil blends. Thoughts: Love this modern take on an older classic—great bread, too. Nice for a quick lunch!